When the U.S. stock market dropped a record 9.18% in December, out came the bears. Both individual and professional investors feared the beginning of a long and painful market decline. Money flows into stock mutual funds declined and forecasts of future continued price drops increased. Forecasts of doom and gloom were just weeks old when the market increased 7.87% in January. Sentiment had already reversed course again, with an increasing number of investors bullish on stocks for 2019. I have found that there are two very common methods that people use to predict future stock returns. Some people base their stock market expectations on something political – either a scoundrel/hero who is in office or some piece of horrible/outstanding legislation. This is very clearly a poor investment technique. The other common method of prediction is to simply assume that tomorrow’s returns (or next week’s, month’s or year’s) will be remarkably similar or identical to, today’s returns. That is, a significant percentage of investors merely take the most recent returns and extrapolate them into the future. There is an entire school of thought based on the notion that stock prices, like a satellite in orbit, has momentum. 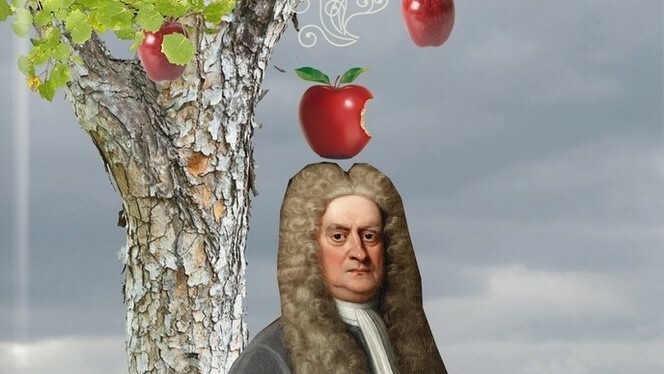 One problem with momentum investing is that stocks are not subject to Newton’s First Law of Physics. That is, stock price changes do not remain in motion or at rest until acted upon by an outside force. The Dow Jones Industrial Average is not like a basketball player who goes cold or has a hot hand. Professional investors are no less emotional or intellectually lazy. A recent study found that when professional investors are asked about their expectations for stock returns over the next 12 months, their mean forecast almost identically matches the actual market returns over the previous 12 months. When people say, “the market is going up,” they presume that the market is subject to the laws of physics. It isn’t. Momentum explains all sorts of phenomena from the physical world. As a mathematical construct, however, it is fundamentally flawed. Stock prices do not have personalities or memories. Numbers are not subject to gravity, nor are they immune from the laws of logic. Home Chef is a meal-delivery service company that began operations in 2013 and was purchased last year by Kroger. In the past three years, the company averaged annual revenue growth of more than 60 thousand percent. Based on its 2017 revenues of $255 million, and assuming its recent growth rate continues for only two more years, in 2020 Home Chef’s revenues will exceed the Gross Domestic Product of the entire world – an obvious mathematical impossibility. Don’t laugh; some people use that logic to make investment decisions.